Sneinton Festival got underway last night with the Olympic Torch relay at Sneinton Market Square. What else to we have to look forward to? A full week and a bit of great events, that's what! The organising committee have done a great job as always to build a programme of events for all around Sneinton. 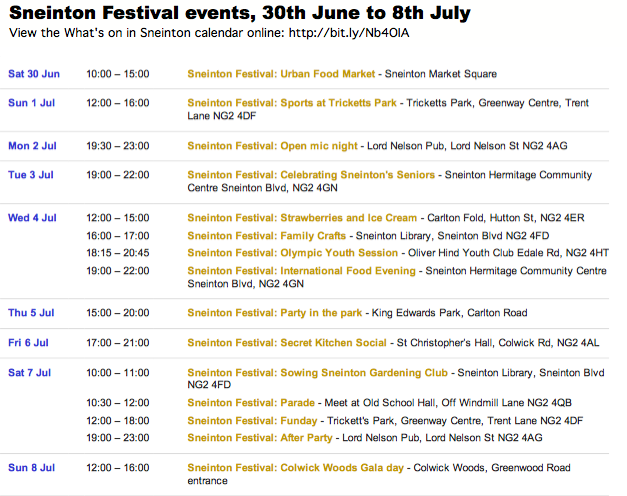 All the events are now available to view in the 'What's on in Sneinton' calender.